At the 11th Cultural Fair of Beijing, the Tibetan works of art-- Tangkas attract numerous visitors. Thangkas, a Tibetan Buddhist painting on cotton or silk, usually depicts a Buddhist deity, scene or mandala. The artwork usually performs several different functions including teaching tools, meditation tools, or prayer mediums during rituals. Delicate skills are highly required for this traditional art form. 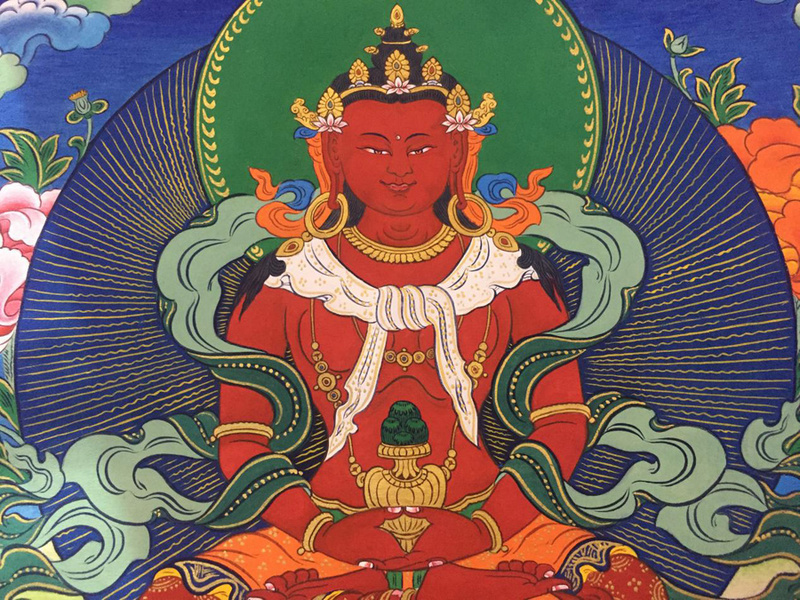 “I’ve been concentrated on Thangka artwork for over three decades. It takes me a long time to complete a piece of Thangka,” said Yeshe Dawa from Yushu Tibetan Autonomous Prefecture of northwest China's Qinghai Province. “I receive more and more foreign clients nowdays because they see Tangkas as valuable works of art that they would like to take back for appreciation or decoration,” said the artist.